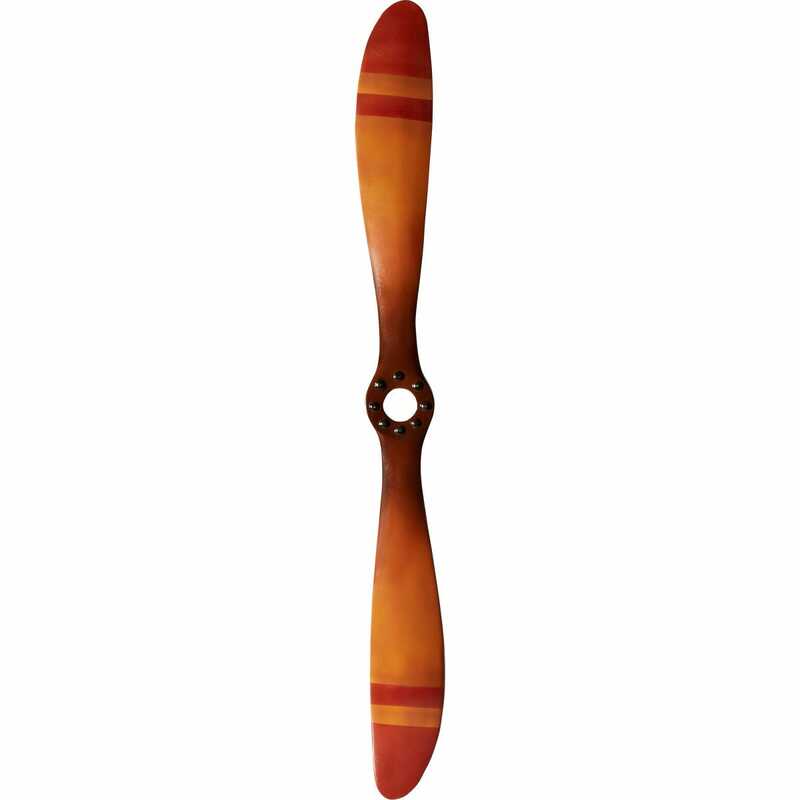 Our Vintage Propeller is hand-crafted of resin and features hand-painted red colored striped tips replicating wooden propellers from the early days of aviation. Center hub features 8 replica hub bolts, and it has a durable keyhole hanger mounted on the back for easy hanging. Measures 4’ long and is about 1” thick.